Celebrating what I would consider a traditional Christmas in Japan can be kind of hard because the holiday isn’t culturally celebrated here. I’d say most Japanese people consider Christmas more of a commercial novelty. 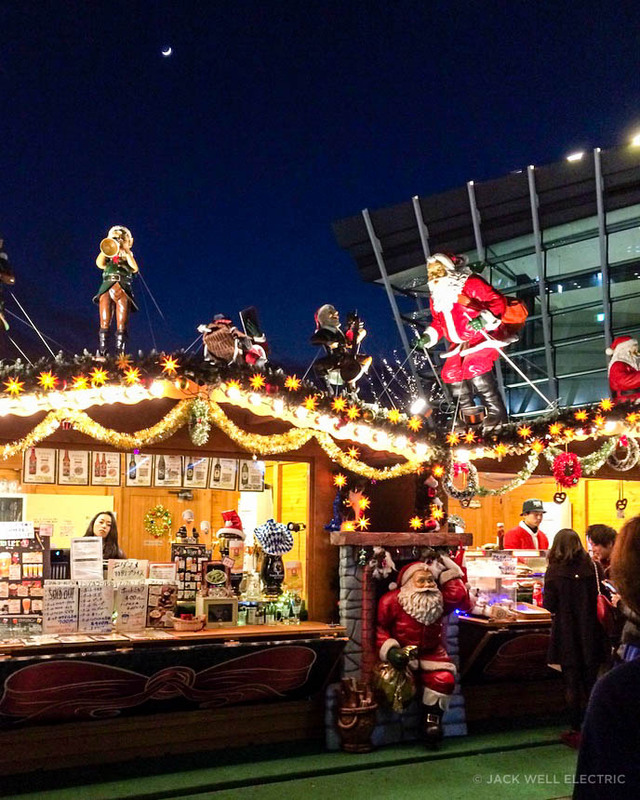 However if you find yourself in Osaka during the Christmas season, I definitely recommend visiting the German Christmas Markets held at the Floating Garden Observatory at the Umeda Sky Building. Liam and I along with his parents, Donna and Steve, stumbled upon these markets on the evening of Christmas Day. 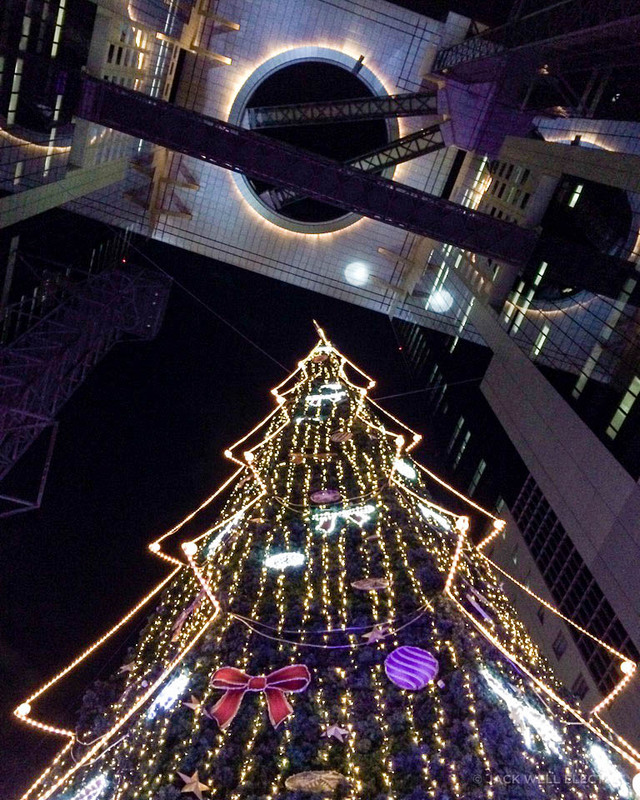 The market area is sandwiched between the two Umeda Sky Building towers and the giant Christmas tree sits right in the middle pointing upwards towards the viewing platform. The mix of the traditional market stalls within the modern Umeda Sky Building grounds is really beautiful and unique. 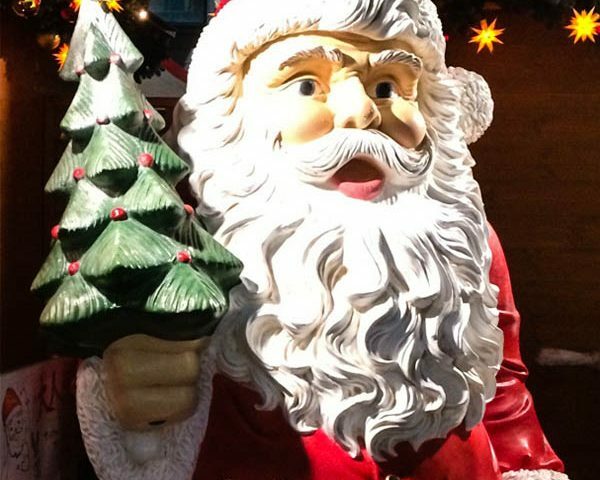 The markets had a great range of stalls selling everything from beautiful Christmas decorations to mulled wine and bratwurst. There was even an ice skating rink! If you’re not afraid of heights then definitely take a trip up to the observation platform at the top of the Umeda Sky Building. 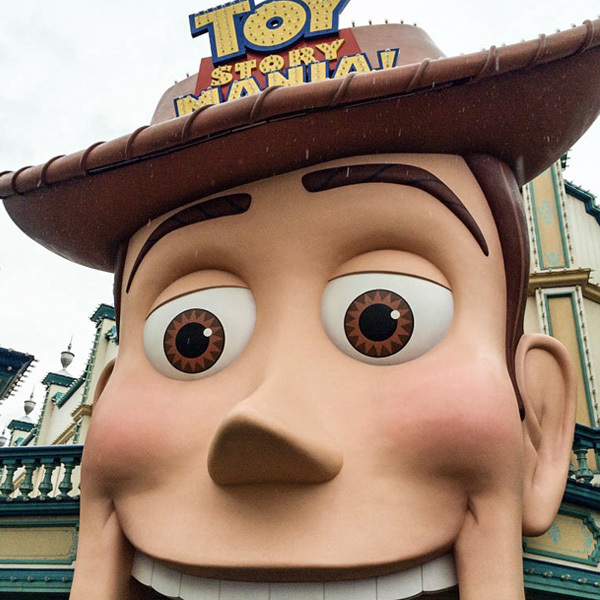 It cost approximately ¥800 per adult and the 360 degree views of Osaka are breathtaking and not to be missed! Take the north exit out of JR Ōsaka station towards the Grand Front Osaka. With the Grand Front Osaka on your right, go down the escalator and walk towards the Umeda Sky Building until you come to the underground walkway. Go through this walkway and the Umeda Sky Building will be on the other side (about a 5 minute walk).